The Future of Essex Police, Fire & Rescue? The people of Essex are being urged to have their say in the potential change in the way Essex Police and Essex County Fire & Rescue Service is governed. To have your say respond to the consultation that ends on Wednesday 10th May. The Policing and Crime Act 2017 enables police and crime commissioners to become the fire and rescue authority where a strong local case is made. The Government has also created a statutory duty to collaborate. The NEE Health Forum is a largely enthusiastic and committed body of people who are interested in health matters. They are all people who have registered as public members of North East Essex Clinical Commissioning Group. The Health Forum is not formally part of the Clinical Commissioning Group, but members of the Health Forum Committee are invited to be part of all decision-making meetings within the CCG so that they can obtain and reflect the views of people from North East Essex to the group in a timely way. The Clinical Commissioning Group wants the Health Forum to be as inclusive as possible, and so the criteria for eligibility are very broad. There is more detail on the Join the Health Forum page of their website. Members of the Health Forum are able to vote for the Health Forum Committee. The Health Forum Committee has a number of sub-groups which are looking at specific health related issues. The Health Forum does not have any legal powers, but has been given local powers by the CCG. It works very closely with Essex HealthWatch, who do have legal powers. Their important reports, including local Health Forum meeting dates, agendas and minutes and similar material relating to the Health Forum Committee can be found on their site in the Library. The Health Forum holds local meetings which any public member of the CCG can attend, regardless of where they live. 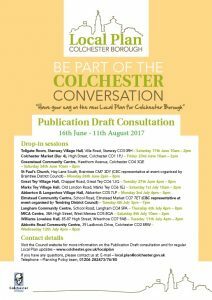 The 3 local meetings are held at Colchester; Harwich; (rest of) Tendring – this is usually held in Clacton. These meetings give Health Forum members a chance to receive presentations and ask questions relating to key health care issues and services in their area. They are also to raise concerns with the NEE CCG staff directly and Health Forum Committee members. The Agendas for the local meetings are set by the Health Forum Committee who request speakers on the subjects they believe local people want to hear more about. The CCG supports the Health Forum Committee by finding suitable speakers and health professionals that are in a position to answer relevant questions. The agendas and minutes of the Local Engagement forum are published in their Library under Health Forum. The North East Essex Clinical Commissioning Group, with its partners, has started a 10 week consultation aimed at finding ways to provide effective and safe care within the community – known as Care Closer to Home. Have your say on plans to provide health and social care closer to peoples’ home. Please read the NE Essex CCG’s consultation document. Local people across north east Essex are being asked for their views on how health and social care services could be provided closer to their homes in the future. The consultation is also suggesting a redesign in the way emergency and urgent care might be provided too, as part of its urgent care strategy. Their aim with both of these service redesigns is to ensure patients are at the centre of their care which will allow individuals to be seen in the right place, at the right time by the right expert. These proposals follow a series of engagement activities, known as the Big Care Debate, in which many people called for services to be based around the individual needs of the patient as close to their home as possible. Please give your views via an online survey. If you prefer to download, print and post your response, please click the survey document here to download. 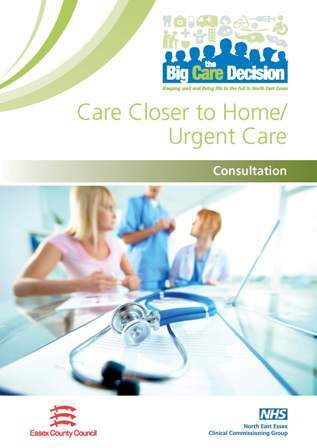 Please see the latest version of the detailed Full Business Case for Care Closer to Home. Within the document attached, you will find further details on how to have your say including dates and venues of drop-in sessions and discussion workshops being held in Basildon, Colchester, Chelmsford and Southend-on-Sea. Contact details are included should you wish to arrange a separate meeting for your group or organisation. The PCTs wish to consider the proposals for expansion with full knowledge of the views of local people. We have distributed the discussion document and feedback form to a wide range of people. Please could you help us to reach as many people as possible by distributing to others in your organisation and to anyone who would be interested in taking part in this discussion. We look forward to listening to your views. As balancing the budget becomes increasingly difficult, Colchester Borough Council needs to make some tough decisions that will impact on you as local residents. Residents’ views are critical in helping the Council to shape the future of its services and Colchester Borough Council would like you to share your priorities with them. Simply tell them which services are most, and least, important to you. Say what you think. Complete the quick questionnaire by visiting www.colchester.gov.uk/yourcolchester or share your ideas on Twitter at www.twitter.com/yourcolchester. It also invites you to contribute any ideas you might have to save money or increase income. 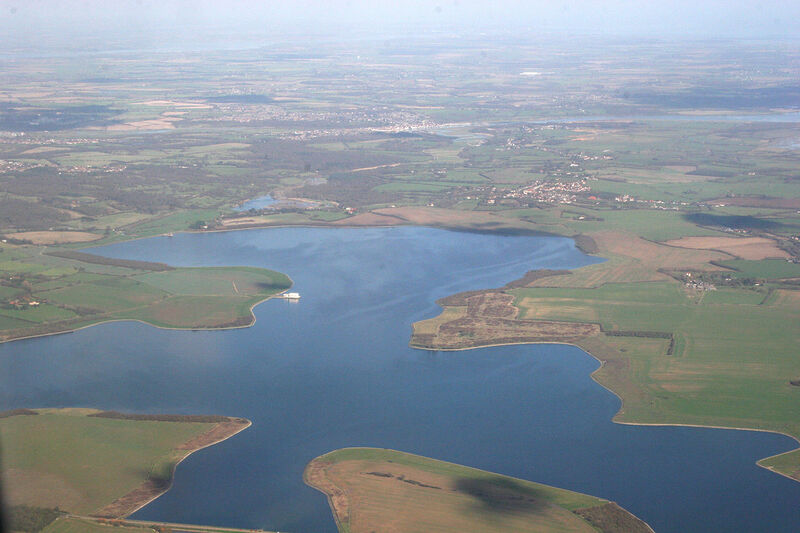 The questionnaire will be available to complete until 4 October 2010. The Council will then collate and consider your responses as part of the first stage of its budget consultation.